Used Getzen 300 Series Eb/D trumpet in silver plate. 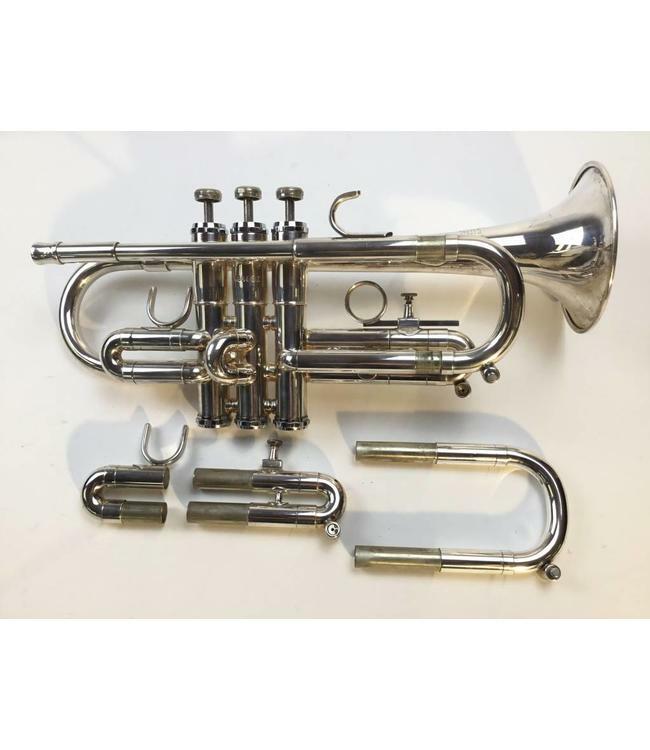 This trumpet is in overall good condition with minimal wear throughout, not affecting playability. Comes with both sets of Eb and D slides and original case.